Practical and stylish in equal measure, the Bonzer Barman’s Apron is offered in three finishes; dark brown leather, and sage green or navy canvas with leather pockets. 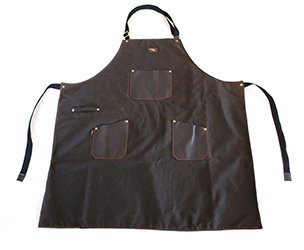 Using Rockingham leather and Halley Stevensons canvas, the Barman’s Apron is manufactured to last and can easily repel spills. Featuring a soft, premium cotton lining the apron is comfortable and flexible, making it great to wear for long periods without sacrificing on movement. 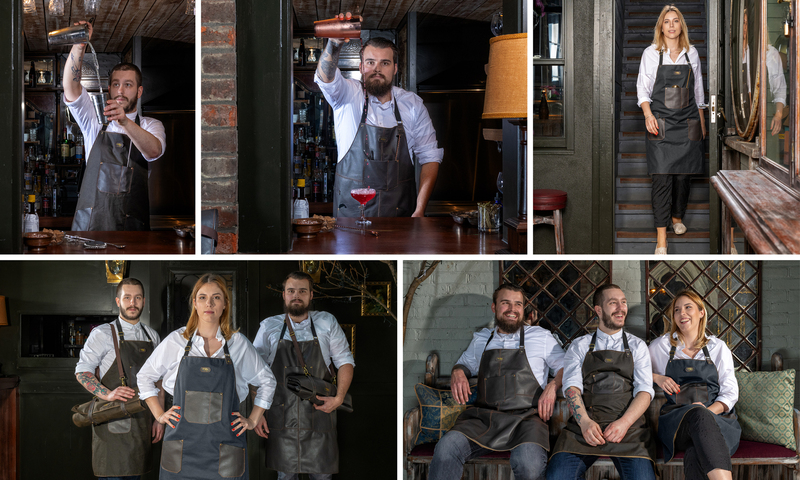 The Barman’s Apron features multiple pockets, hardwearing and finished with distinctive rivet detailing, allowing bartenders to carry a selection of tools on their person. The central, larger pocket is perfect for those tools you can’t be without, such as strainers and mixing spoons, whilst the two side pockets provide ample space for tools, notepads, cleaning cloths and more. A necessity for any bartender wanting to look sharp and come equipped, the Bonzer Barman’s Apron balances classic styling with durability and practicality. To complete the look, the Barman’s Apron can be paired with the Bonzer Barman’s Roll, the latest addition to their range of barware carrying accessories. Bonzer also offer a range of bespoke branding options for the Barman’s Apron, to truly make it your own. 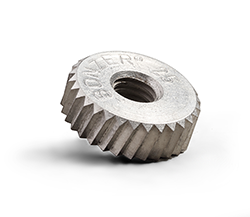 For more information on the Barman’s Apron, or more products from Bonzer’s extensive barware portfolio, please contact Mitchell & Cooper on 01825 765511 or visit www.mitchellcooper.com.